Need a quick seasonal on-the-go snack? 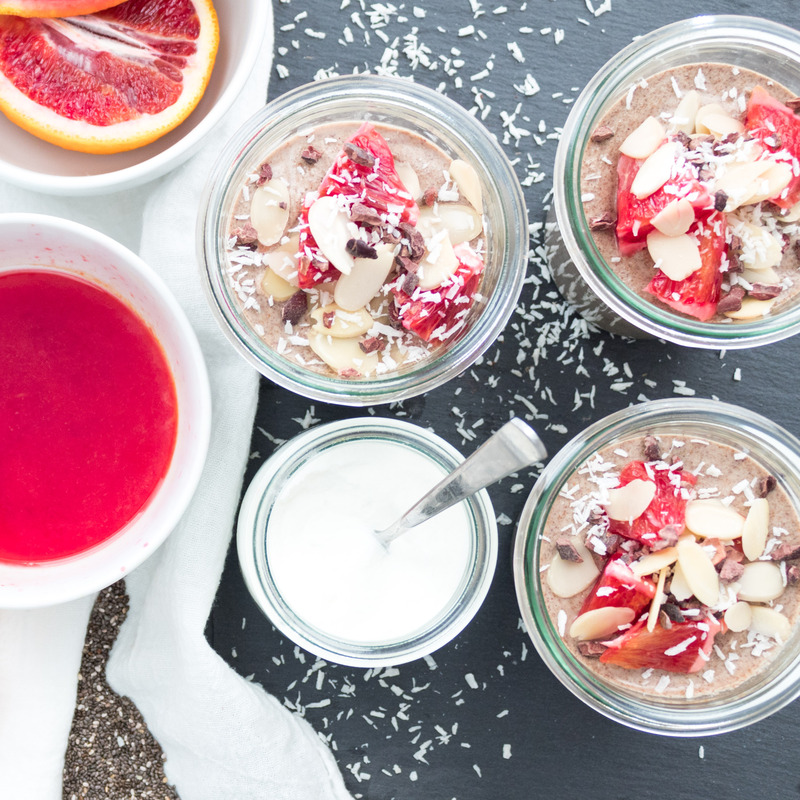 Try this immune boosting Reshi Blood Orange Chia Pudding. If you follow me on Instagram you know that I just got back from a yoga retreat where I didn’t touch by phone for a full 36 hours. No texting messaginI turned it off, so I could completely focus on recharging and tapping into my own internal wisdom. Writing this blog, working with companies I love, creating recipes and sharing my life with you brings me so much joy, but what I’ve learned is that as an introvert, if I don’t take time to regularly disconnect— and I mean completely disconnect—I quickly tip out of balance. I feel constricted and overwhelmed rather than expansive, free and creative. I share this for my fellow introverts who may need a reminder to regularly schedule timeouts for themselves. I’ve been regularly craving citrus for the past few weeks, but I absolutely hate peeling oranges, so I’m always looking for creative ways to incorporate some type of citrus fruit into a snack that I can take on-the-go. 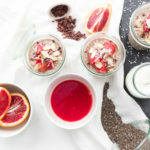 I absolutely love a good a nutrient packed chia pudding and it’s even better when I can make it with a seasonal twist. 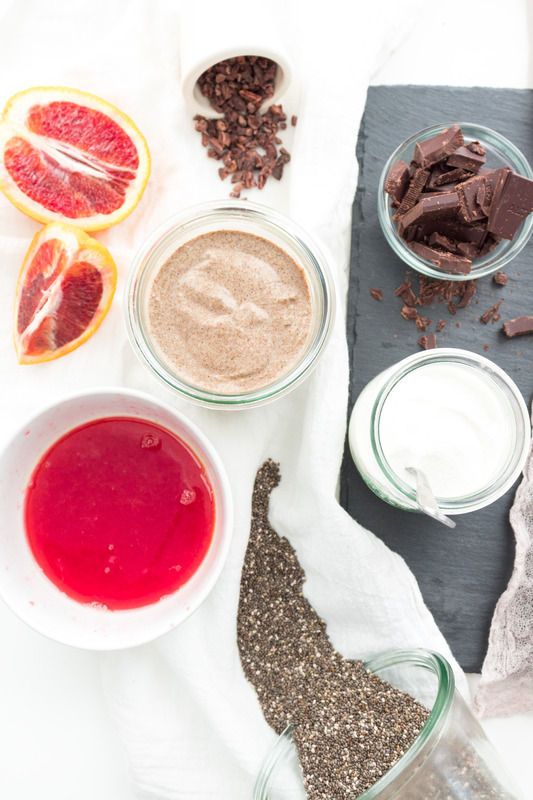 Enter this immune boosting Reshi Blood Orange Chia Pudding. 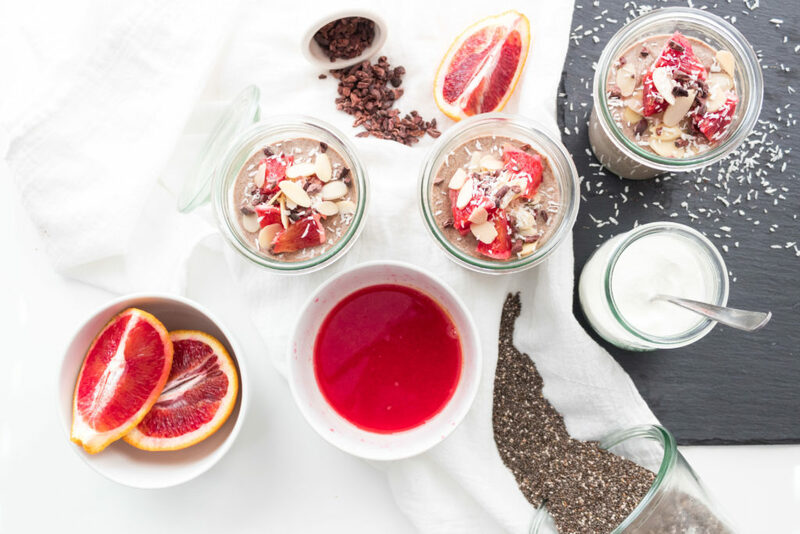 Three of the main ingredients in this chia pudding are Kakato, Reshi mushroom powder and fresh squeezed blood orange juice. Here’s why I used and love each of these immune boosting ingredients. I’ve used this prebiotic fiber sweetener in recipes before and absolutely love it. I use Kakato in place of other sweeteners as it contains zero sugar, artificial sweeteners or sugar alcohols. Besides having no aftertaste, which works for people who don’t like Stevia, the main reason I use Kakto is for the prebiotic fiber. The prebiotic fiber in Kakato is a soluble fiber. Soluble fiber binds to substances like cholesterol and sugar, preventing or slowing their absorption into the blood, which can help regulate blood sugar levels. Soluble fiber also boosts the growth of good bacteria that exist naturally in your gut, which is linked to improved immunity, anti-inflammatory effects, and even enhanced mood. Reshi is known as powerful immune modulator and hormone balancer and can also help regulate the central nervous system, which means helping with stress and anxiousness. It’s often natural for our bodies to crave citrus fruits in the winter, which are high in vitamin C. Beyond helping with the common cold, studies have shown vitamin C may also protect against immune system deficiencies, cardiovascular disease, prenatal health problems, eye disease, and even skin wrinkling. Let me know if you make this recipe and what you think in the comments below. For other snack ideas, click here. Thank You SilverFern Brand for sponsoring this post.